Hey all — it’s guest blog time! 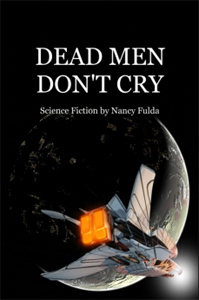 This one is from Nancy Fulda, who has an extensive short story list, and an anthology — and who also just won the Jim Baen Memorial writing contest this year! She’s transitioning from shorts to novels, and I’ll get out of the way now and let her talk…. When I started A New Kind of Sunrise I instinctively tried to stick to this principle. The result was a story that felt flat, uninteresting, and was spread far too thin to be exciting. I went back to flesh it out and discovered the great joy of novel-writing: There is time to explore a character in context. Mikaena’s struggle to understand her world still dominates the story, but I can also place her in a complex network of relationships and observe the way she and her tribemates affect each other. It’s intriguing. And it’s something I could never properly explore in 4000 words. ← Nightshifted — almost done! Pingback: Guest Post: Shorts vs. Novels—A View from the Trenches. Interesting stuff, Nancy. I’m thinking about novels, too. It’s a tricky transition.